PRUD’HOMME, LOUIS, pioneer, churchwarden, brewer, corporal, and militia captain of Montreal, son of Claude Prud’homme and Isabelle Aliomet; b. c. 1611 at Pomponne (Île-de-France); d. in 1671 at Montreal, where he was buried on 10 July. After arriving in New France in 1641 at the latest and being one of the first to settle at Ville-Marie (Montreal), he received in October 1650 a grant of land close to the fort and adjoining that of Michel Chauvin, whose bigamy he disclosed to Governor Chomedey de Maisonneuve. As it happened, Prud’homme had discovered, in the course of a trip to France that very year, that Chauvin had a wife there whom he had married before setting out for the colony. Hence this second marriage to Anne Archambault, celebrated at Quebec in 1647, was annulled in 1651 and Chauvin was banished from Ville-Marie. This judgement is the earliest one pronounced by the founder of Montreal that has come down to us. 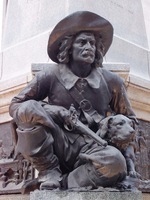 In 1654, 1662, and 1666, Prud’homme received further grants of land. On 30 November 1650 Louis Prud’homme married Roberte Gadoys (1628–1716), daughter of Pierre Gadoys, called the first farmer of Ville-Marie, which is where the marriage took place. In 1644 Roberte Gadoys had already entered into an earlier contract of marriage with César Léger at Quebec, the notary being Guillaume Tronquet. This union, it appears, had subsequently been annulled. When the Sulpicians arrived in 1657, Prud’homme was elected as one of the first three churchwardens of the parish of Notre-Dame. In 1663, when the militia of the Holy Family was constituted, he was corporal of a section. The following year he was elected police magistrate, along with four of his fellow citizens; but the authorities of New France considered the institution of the police court too democratic and refused to confirm the results of the election. In 1673 his widow, Roberte Gadoys, took as her second husband Pierre Verrier. Like her mother, Louise Mauger Gadoys, she died in her nineties. 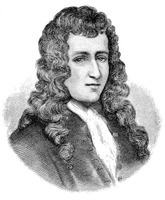 One of his sons, Pierre (1658–1703), received from Cavelier de La Salle in 1683 a grant of land in fief at the Illinois fort, which thereafter bore his name. The son of this latter Prud’homme, Louis (1692–1769), with the same name as the pioneer, was born and died at Montreal; in 1751 he was lieutenant-colonel of the militia forces of Montreal and was their commander at Sainte-Foy in April 1760. AJM, Greffe de Bénigne Basset, 29 juillet 1658; 11, 12, 14 janv., 2 juillet 1673. “La famille Prud’homme,” BRH, XXXIV (1928), 151–70. É.-Z. Massicotte, “Pierre Prud’homme: un montréalais compagnon de La Salle,” BRH, XXVIII (1922), 28–30; “Pierre Prud’homme, compagnon de La Salle,” Can. Antiquarian and Numismatic J., XI (1914), 21–31; “Les tribunaux de police de Montréal,” BRH, XXVI (1920), 180–83. Tanguay, Dictionnaire, I, 502. Arch. Départementales de l’Orne (Alençon, France), “État civil (1552–1902),” Igé, 15 sept. 1628: archives.orne.fr/consultez/consultez.html (consulted 5 March 2015). Bibliothèque et Arch. Nationales du Québec, Centre d’arch. de Montréal, CE601-S51, 30 nov. 1650, 10 juill. 1671. Jean-Jacques Lefebvre, “PRUD’HOMME, LOUIS,” in Dictionary of Canadian Biography, vol. 1, University of Toronto/Université Laval, 2003–, accessed April 24, 2019, http://www.biographi.ca/en/bio/prud_homme_louis_1E.html.